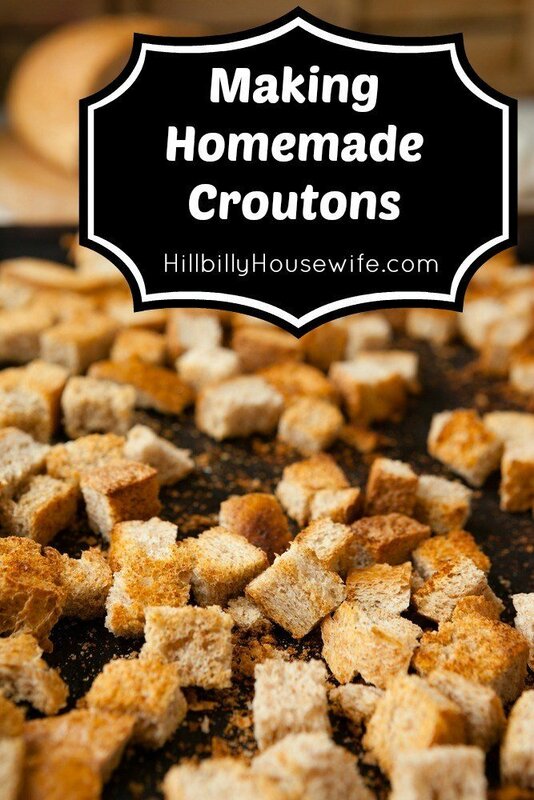 Homemade croutons are a great way to use up leftover bread. If you don’t like to make sandwiches out of the heels of your bread, toss them in the freezer and when you have about 10 slices, thaw them on the counter and get started making croutons. This also works out really well when you somehow bought or made too much bread. Croutons will last much longer than fresh bread. The seasonings below are a suggestion. It’s how we like our croutons. Feel free to omit everything but salt and oil, or tweak the seasoning to your liking. I use dried herbs. Adjust as needed if you’re using fresh herbs. First make 2 piles of your bread. Using a very sharp, serrated knife, slice them into small cubes. I make 5 cuts each direction, one down the center, and two to each side, but you can do it the way that works best for you. Place all of the bread cubes into a large bowl. Sprinkle on the seasonings. Toss briefly to mix in the seasonings. Next dribble in the oil somewhat evenly. Now gently toss everything together. The oil will help the seasonings stick to the bread and also make the bread crispy without actually having to fry it. Spread the croutons on a large cookie sheet, use two if you need to. Bake them at 350 degrees for about 20 minutes or until they are crisp. Remove from the oven and allow to cool on the pan. Store the croutons in a plastic bag, or resealable container. 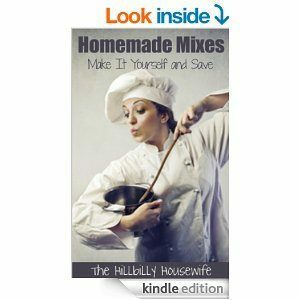 Serve on salads, or tossed in omelettes, or on top of plain spaghetti and Parmesan cheese.